These are just the yummiest snack! They’re perfect for munching on in front of a movie or while sitting at your desk. 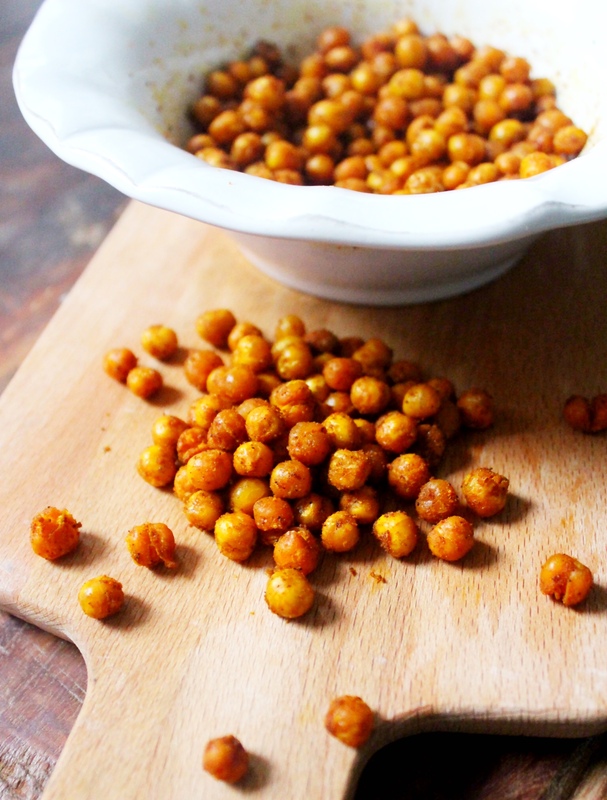 I usually just use chickpeas in hummus or in stews or curries but they taste amazing roasted and have such a delicious crunchy texture, which tastes incredible with this blend of spices. These couldn’t be easier to make so they’re a must for the next time you need a healthy snack! These are best served hot and crisp but are still yummy as they cool and soften. You can watch me make them here! Drain the chickpeas, rinse them and then pat them dry. Add them to a roasting tray. Combine all of the spices in a bowl. 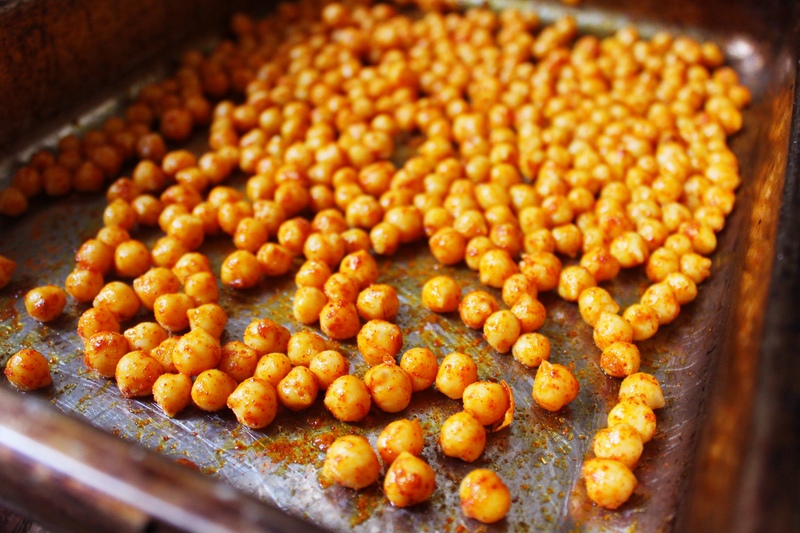 Drizzle the chickpeas with your oil and sprinkle on the spices. Use your hands to toss them all around, making sure they’re evenly coated. Roast at 200’C for 35-40 minutes until crispy and gorgeous. Eat hot, straight away.